“You get what you pay for!” … We’ve all heard that phrase before, right? We all love to save a buck. I know I do too! lol But what’s purpose of saving a buck upfront only to have to fork over more money to on follow up repairs? 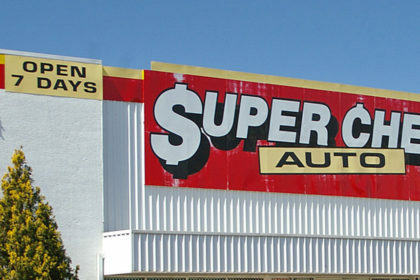 We’ve had plenty of customers come to our shop after they used a Cheap Transmission Repair in San Antonio shop. There’s always the same combination of problems; break downs due to cheap, faulty parts and poor workmanship. We often feel very bad for people who fall for the Cheap Transmission Repair trap in San Antonio. Discount transmission repair in san antonio may also fall into this category of of Cheap Transmission Repair in San Antonio. Discounts on transmission repair such as military discounts, referral or loyal customer discounts are good discounts. A good quote includes labor and parts. But what quality of “labor and parts”? You want to be quoted for the labor of a certified ASE Certified Mechanic and Original Parts From The Manufacture. This is a winning combination for a quality repair that will give you peace of mind knowing your transmission will perform well! Always beware of Cheap Transmission Repair in San Antonio. You’ll save money now, Pay a heavy price later!